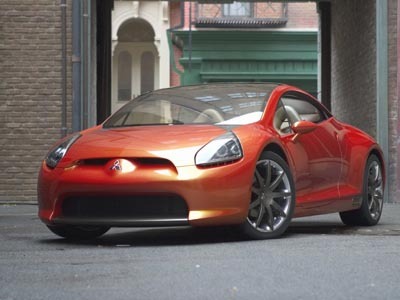 The Mitsubishi Eclipse Concept-E seen at the 2004 Detroit Auto Show was a sports coupe which was designed to preview the design of the next generation Mitsubishi Eclipse coupe. 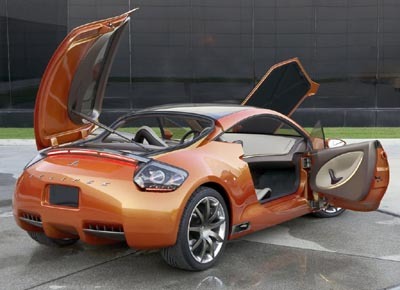 The bubbly styling of the Concept-E gives the car a youthful exuberant look. 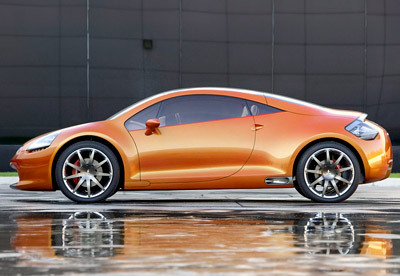 The AWD Concept-E hybrid was powered by a 476 bhp 3.8 V6 petrol engine and a 150 kw electric motor working in conjunction. Mitsubishi gave the system the name 'E-Boost', and it offers both improved MPG and outstanding performance. 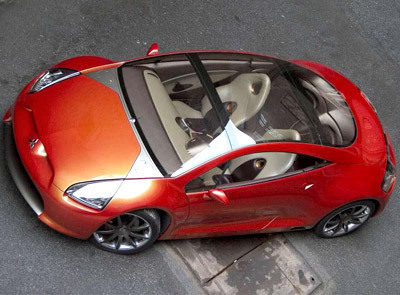 The Eclipse Concept-E's exterior has an attractive glass roof framed neatly by the A-pillars which run down to a semicircular rear window. The rear hatch opens in a gimmicky sideways fashion instead of the more practical traditional method. The interior of the Concept-E is configured in a 2+2 manner with Deep Video Imaging and Multi-Layer Display(TM) (MLD) technology providing the driver and passengers with simulated gauges, diagnostic information and interactive displays in an intuitive, multidimensional format. 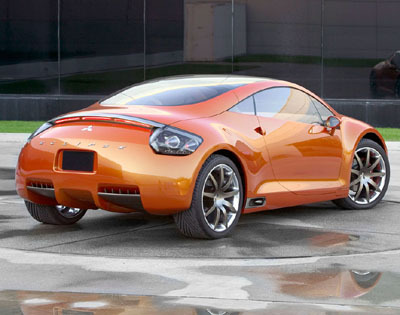 Overall the Mitsubishi Eclipse Concept-E is an attractive sports coupe concept which looks like a modifiers dream.